Let's do deep learning for image classification on a GPU! 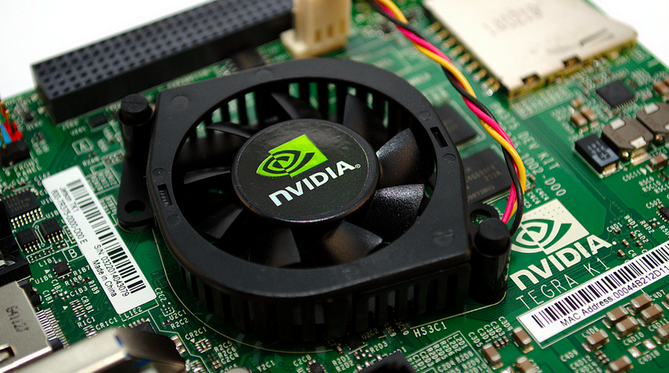 The GPU on the Jetson is a Tegra K1. The Jetson I received came preinstalled with an early version of the "Linux for Tegra" (L4T) Ubuntu-based operating system. Step one is updating to the most recent version (currently 21.3). You can only run the JetPack on 64-bit Ubuntu 12.04 and 14.04. I used 14.04. The JetPack is about 12 gigabytes in size, so make sure you have enough space on your machine or any virtual machine you plan to use. It took me a couple tries to get everything right; to get it all done in one pass you would want to connect the Jetson via USB and start it in recovery mode now, then adjust the VirtualBox settings so that there's a “USB Device Filter” for the “NVIDIA Corp. APX ” device accessible, before even installing the VM. Reboot and get full-screen majesty! In Ubuntu then I was able to install the JetPack. This whole process takes at least enough time to eat some Thai food. After flashing, I cleaned out the old record from ~/.ssh/known_hosts and was able to log in to a shiny new “Linux for Tegra” 21.3 install! At the end of the JetPack process, you need to enter the IP address of your Jetson. You can use ifconfig (as directed) on the Jetson to get the right IP address. The JetPack process continues then and includes installing more things on the Jetson, including cuda-toolkit-6-5. Nice! If you're a “CUDA Registered Developer” (they have to manually approve applications?) now might be a good time to install cuDNN R1. 2. Install the Caffe deep learning framework. The GCC 4.7 vs. 4.8 issues are resolved now I think, so the last two items there could probably be skipped. Warden also advised some manual tweaks to $PATH and $LD_LIBRARY_PATH, but these are taken care of already by the install process. You may still need to source ~/.bashrc, depending on when you last logged in. Unfortunately master has a really large value for LMDB_MAP_SIZE in src/caffe/util/db.cpp, which confuses our little 32-bit ARM processor on the Jetson, eventually leading to Caffe tests failing with errors like MDB_MAP_FULL: Environment mapsize limit reached. Caffe GitHub issue #1861 has some discussion about this and maybe it will be fixed eventually, but for the moment if you manually adjust the value from 1099511627776 to 536870912, you'll be able to run all the Caffe tests successfully. I'm still having problems actually applying the relevant code paths, but at least the tests pass. Then you can run the following command with a pre-built model and see that you get pretty nice prediction speed! At this point you can use Caffe for whatever, including all the great tutorials! For example, there's the MNIST tutorial. Since Caffe's LMDB support still isn't working right on my Jetson install, I had to switch the tutorial example to use LevelDB. This isn't too hard; just change BACKEND="lmdb" to BACKEND="leveldb" in examples/mnist/create_mnist.sh and then in examples/mnist/lenet_train_test.prototxt change both directories ending in lmdb to end in leveldb and both LMDBs to LEVELDBs.